Welcome to our Announcements page for our Farm! WE HAVE PUPPIES DUE JULY 2016! be Factored for all colors! Email to be put on our "To Contact List"! 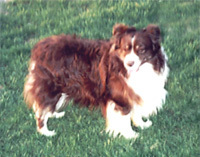 We have selectively bred Quality, Registered Miniature and Toy Aussie's for some 20 years now. 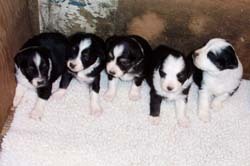 Puppies on The Adult page. 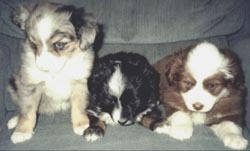 You can view our Puppy Announcements and past litters on Current Puppies Available or Miniature Aussies page. There are a few pages filled with past puppies sold that we LOVE to receive and enjoy sharing with you! If you have the time, please visit our Unique Gift page. There you will find Fun and Unique items of interest! All of these and more can be added into an extra special Gift Basket. Email for suggestions and/or ideas. There are always unique specialty items which can be created for that Special Someone. Check out our Maiden Female Page and new Junior Herdsire page to read all about some of our newcomers to the farm! New arrivals to our farm will be announced here! Rimmi, Shelby and Zu Zu! More about them will be featured soon! Baby Announcements will always be placed on our Llama Offspring Page. Welcome to our world: LUA Wave's Of Dreams; Hard Rock's Hallelujah; American Pharoah; LUA Wave's Of Celebration; LUA Sterling's Sensation, and LUA Ace's Hand! You can locate all of our Nationally Acclaimed Herdsires on the below links. Each one has their own story about how they came to reside on our farm. We truly feel each were hand picked by God. Feel free to email with questions, or for future planned breedings. To view all of our Champion Producing Females that reside on our farm, and to learn more about them, see their lineage and share in their production, each breeding female on the farm will be listed on the Breeding Female page. 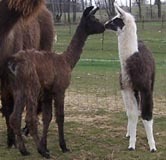 Once a female has delivered a cria she is moved to this page. Or in the case of Production females purchased, they will automatically be listed there as well. We go to great lengths in our Breeding Program and work to capture the best each individual animal and/or bloodline can offer in the pairings that we choose. Many female offspring are retained to later go into our Breeding Program. Once a young lady turns one year of age, she is then removed from our Llama Offspring page and placed on our Maiden Female page. She will remain there until she becomes of age to breed, and once she delivers then she will be moved to our Breeding Female page. 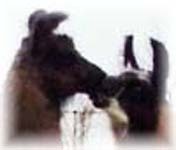 If you want to spend some time and research the greatness of our Breeding Program you will want to vist our Past Offspring page. There you will find in groups the production of some of the Great Females our Farm has been truly Blessed with. We never take these females for granted and understand that each one of them have been a gift from God. 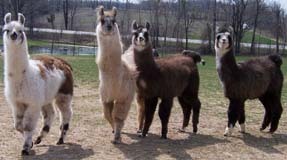 If we have photos of the Sires and Dams of some of our llamas which we do not presently own, you can see photo references at the bottom of our Herdsire, Breeding Female, Maiden Female and Llama Offspring Pages. You will find several links to our Winners Circle pages on our website. Feel free to browse and learn more about these exquisite bloodlines at work and how well they have done in the Show and Futurity Rings! From local shows to the National Level and even in World Futurity Competition! 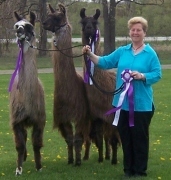 If you have a special llama you have purchased from our farm, please share your stories and winnings with us! We would love to post you as well! Throughout the years we have been very Blessed to meet many wonderful friends in the Llama Community. We are grateful to each of you. 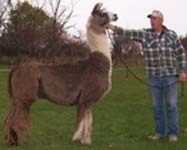 On our Llamas Sold page you will find some of our favorite llamas we have sold and who they have been purchased by. ~ SPECIAL OFFERS ~ We are always offering some type of a special offer. Please feel free to call or email with any questions or to learn more about 'The best buy on the Farm'!